Courtesy Andreas Fichtner, ETH Zurich; Swiss National Supercomputing Center (CSCS). Supercomputers help scientists peer under the Earth's crust and spot a massive magma reservoir lurking below an unsuspecting island. Seismic tomography finds a massive magma reservoir under tiny island. 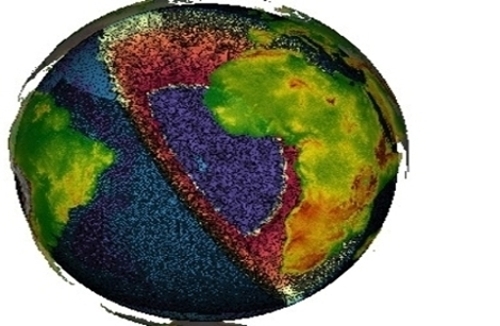 Scientists match seismic observations with supercomputer models to locate anomaly. Origin of magma unknown, but computer models will inform earthquake response efforts. A lake of lava lies directly below a small South Korean island. How it got there has scientists stumped. In a study recently published in the Journal of Geophysical Research, Saule Simute and Andreas Fichtner used supercomputers to identify a reservoir of magma starting about 50 km (31 mi) below Ulleung, a small island in the Sea of Japan. Simute and Fichtner are collaborators from the Department of Earth Sciences at ETH Zurich. Dubbed the Ulleung anomaly, the magma reservoir is about 300 km (186 mi) wide and 200 km (124 mi) deep. In contrast, the island is only about 10 km (6 mi) wide. Though the reservoir is vast, it is not likely to be a pool of 100% molten material. More likely, the reservoir consists of only partially molten rock, with the fluid magma occurring along rock boundaries or fissures within the Earth, says Fichtner, professor at the ETH Institute of Geophysics. To locate the lava, Fichtner’s team started with seismic wave records of 58 earthquakes, for a total of 5,500 three-component waveform data sets. They then compared the waveforms with seismic wave simulations, optimized through 19 iterations to ensure the computer models matched observations from the seismic stations. 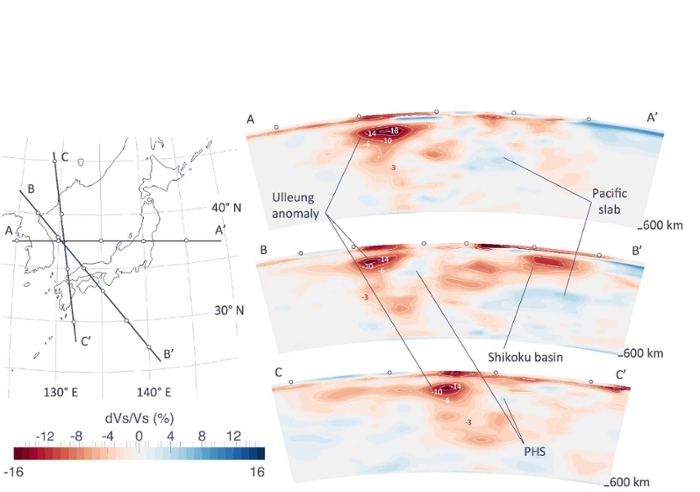 These simulations produced a three-dimensional rendering of the crust and upper mantle of the Japanese islands and surrounding area. Fichtner’s simulations clocked about 10 million CPU and GPU hours on Piz Daint at the Swiss National Supercomputing Center (CSCS) and the now decommissioned Huygens at the SURFsara, the national supercomputing center of the Netherlands. The Ulleung anomaly is an exciting discovery, but also presents a difficult question. Since the shallow depth of the magma pool is usually only associated with active volcanoes, such as those beneath Iceland or Hawaii, how such a massive structure can exist at only 50 km (31 mi) below the Earth without a nearby active volcano leaves scientists puzzled. Resolution limits also leave questions unanswered, such as if and how the magma reservoir connects to the surface. The island’s extinct volcano (last eruption about 5,000 years ago) suggests a possible answer, but seismic tomography can’t see this. Despite the size of the reservoir and the uncertainty surrounding its origin, little threat is expected from the anomaly. “As a scientist, it is always dangerous to say 'no' when this type of question comes. We do not know, but intuitively we would think that there is little danger on human time scales,” says Fichtner. Beyond the sheer academic joy associated with discovering the anomalous magma field, the models will also improve prediction of ground motion resulting from earthquakes. 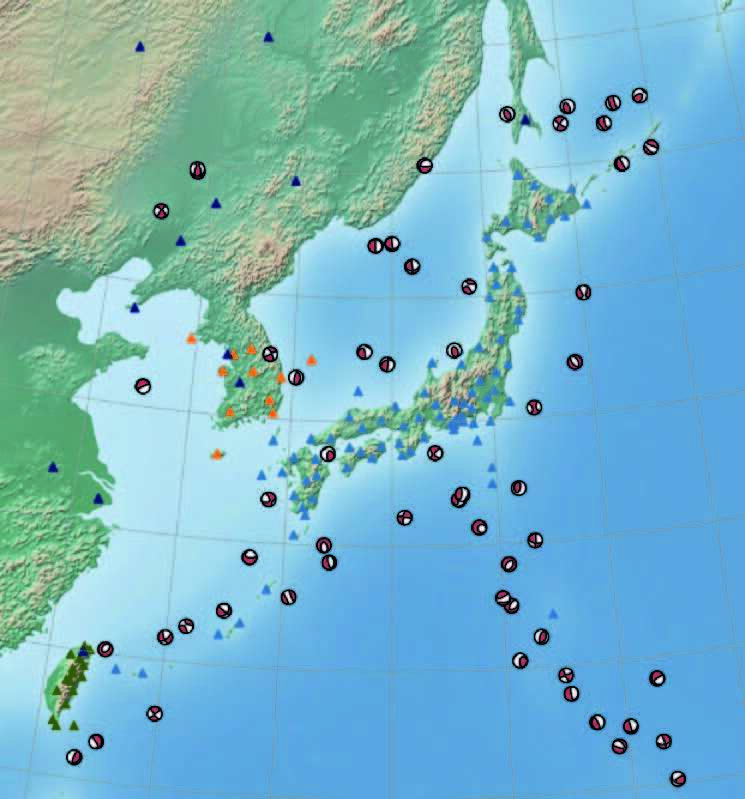 So the tiny island in the Sea of Japan is safe . . . for now.